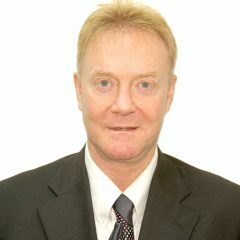 Paul Fraley is the General Manager of Dimensional Insight Asia and is involved in areas of Knowledge Management, business development and applied Business Intelligence. He is working with Partners and companies to create and manage knowledge to deliver secure and reliable business intelligence solutions and drive successful and growing business in Asia. Paul has created and delivered Knowledge Management Workshops for companies such as Pfizer and Pearson Longman to identify key business issues / problems and growth initiatives and flesh out the impact and urgency of outcomes. Then applying knowledge Quadrant analysis to identify opportunities and road-blocks and determine where the data is and craft an action plan to access and analyze the data and create insights and actions to address the issue(s). As a Principal consultant he is responsible for enterprise solutions and superior business. He developed Industry Sales Plans for key Industries such as Banking, Finance, Retail, Healthcare and Supply Chain. Paul has over twenty years experience as a senior executive, in technology, marketing, sales, business development and consultant roles in the telecommunications and Information Technology areas, creating strategies and actions for profitable growth and business governance. He has worked in Hong Kong for 12 years and has extensive local and international experience working with both public and private sector organizations. He held senior business development and operations positions’ providing information technology and business intelligence and Systems Integration solutions to enterprise companies located in Asia, US, Canada and Europe, in particular Hong Kong, China, Australia, New Zealand, Thailand, Singapore, Japan and Malaysia. He has work extensively in mainland China dating back to the 1990’s. During this period he worked with Chinese business and government people. One outstanding highlight was arranging and facilitating a telecommunications industry signing ceremony in Tiananmen Square with a Minister from China and a Minister from Australia, a very difficult feat. He worked in China doing successful business in many provinces, and training Chinese people of various professional qualifications on digital technology based solutions. Paul created the Knowledge Management and Business Intelligence in eHealth course at HKU SPACE as well as teaching the London University “Foundation of E-Business” Course. Academic qualifications gained from the University of Technology Sydney (UTS) include Bachelor of Engineering (Honors), a Master of Engineering (Control), a Master of Businesses (International Marketing), a Master of Business (Electronic Business Management) and a Master of Business Administration, and from the University of Sydney, a Masters of Arts (Applied Mathematics).